they set the "A Mustard Explosion" challenge. 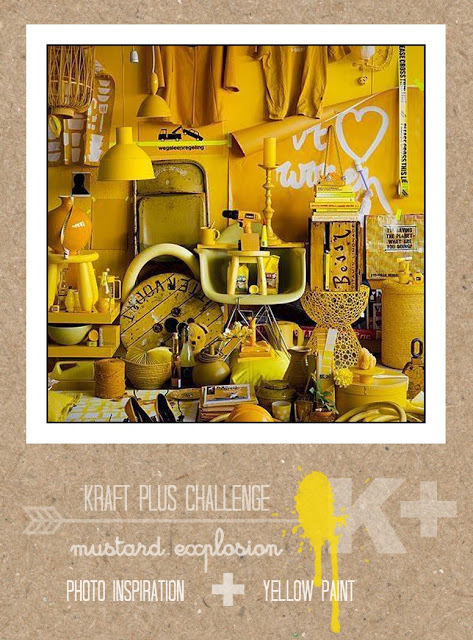 Here are the details.... and mood board... the Kraft + girls sure made it look easy. 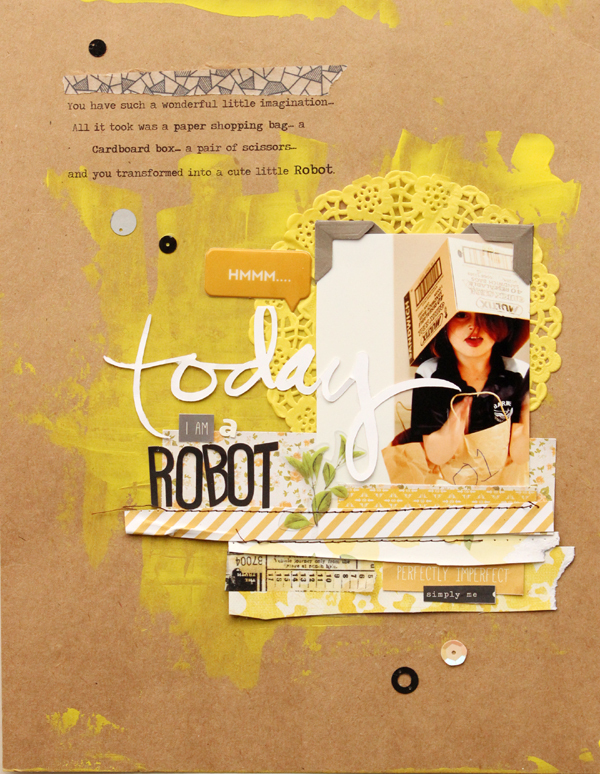 Supplies Cardstock -Kraft, Pattern paper - Crate paper, Simple Stories Alphabets - Simple Stories, Basic Grey, Heidi Swapp. Embellishments - Heidi Swapp speech sticker, photo corners, ephemera. A.P.O.C.D kit - washi tape, sequins, doiley. Other - yellow paint, machine stitching. Eeeek Lizzy....you are a tease!! I have truly loved these challenges... they really get the thinking cap on. 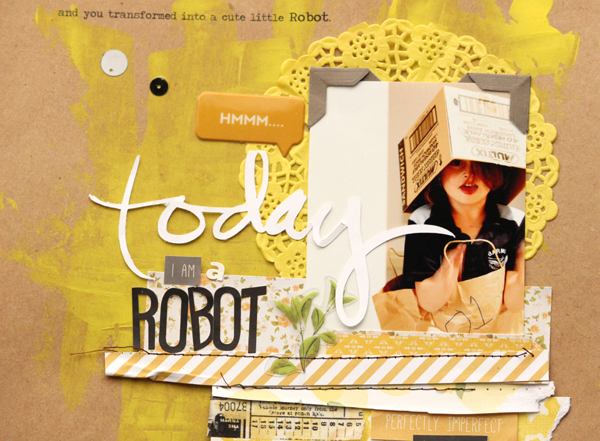 Thanks for popping by and giving me some layout loving too....its such a kind thing to do. oh gosh.. this is perfect.. again. and yes.. make sure to hold on to your hat August 1st. The next challenge is just that.. a challenge! Aww Sandra I am scared....I haven't missed a challenge since I started and I don't want to throw the hat in just yet ...so I will give it my best shot. Thanks again for awesome challenges!! and you have rocked each and every one! Awww... you are sweet.... funny thing is....I say the same about you!! I agree Trudi.... kids come up with the most amazing clever ideas... they are not afraid to give ideas a go either which I love. Thanks for a wonderfully challenging challenge again.